Remedial Massage is the assessment and treatment of soft tissue dysfunctions that can be the cause pain and/or restricted movement. Using Special Tests, observation and palpation to form a “working diagnosis”, enables the therapist to treat the symptoms using different modalities like, Myofascial Release, Trigger point therapy, Muscle Energy, Dry Needling, Stretches and Deep Tissue Massage. Julie as a Massage Therapists is trained and has knowledge in injury diagnosis, injury treatment, exercise prescription, injury prevention, and many other areas of health. If you are with a Health Fund please bring along your health fund card as there are HICAPS facilities where you can claim on the spot. Also, be prepared to provide previous medical history. If you have any relevant scan/MRI reports and list of medication, they can also be of help and added to your file. The number of treatments will vary depending on the problem and the individual. After a thorough assessment, the Massage Therapist will discuss your treatment plan and make further appointments accordingly. Are you coved by Health Funds and have HICAPS? Yes, I am covered by all Health Funds and can process your claim either with the HICAPS terminal, so you can receive rebates at the time of your appointment. Alternatively, I can write a receipt for you to claim yourself. Why should I make my appointment? You can get in touch by phone 0488 602 242 or use the form under the contact page. Alternatively use the quick and easy method by going to the Setmore Booking page, which is the method we prefer, as being in treatment most of the day it is hard to always answer the phone. No, Massage Therapist can assess and treat without referral by a doctor. How long will I need Massage therapy? Treatment duration depends on your conditions, your past medical history and other factors. Re-evaluations will be done to assess your progress and your therapist will communicate with you to help achieve your therapy goals. We see and treat patient for a wide range of conditions and diagnoses. A few examples of conditions that can be treated are: Headaches, Neck and Back pain, Sporting injuries, pelvic imbalances, TMJ (jaw) issues, Chronic pain etc. Yes, unfortunately walk-in appointments are not excepted, as most weeks Julie is fully booked. It is best to call 0488 602 242 or Book online to secure the time and day that suit you best. Please check with your health insurance provide to determine if massage therapy services are covered under your plan. We recommend that you confirm prior to your appointment. 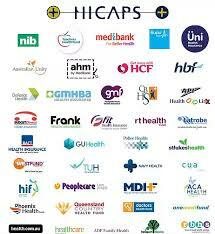 If you health cover entitles you to rebates we do have HICAPS where you can claim on the spot. Please email any changes to info@replenishmassagetherapies.com.au or you may also call our clinic at 0488 602 242. Any changes to your appointment please allow at least 24 hours notice. Feel free to ask any massage therapy related questions over the phone, or send your question via this form below. Your message will be dispatched directly to our staff who will answer as soon as they can.